The Western tip of Cuba is the beautiful region of Pinar Del Rio, characterized by dramatic limestone mountains, rolling tropical countryside and preserved nature reserves. 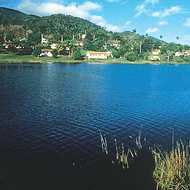 This is a rich area of tobacco and coffee plantations, mountain ranges and traditional Cuban towns. Along the coast, small islands and beautiful beaches are rarely visited. This area of Cuba is perfect if you're looking to get off the beaten track. Most visitors to this region head to the central areas of the Vinales Valley and Las Terrezas. 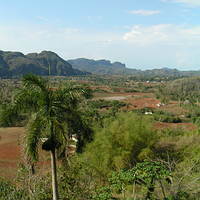 The Vinales Valley is regarded as perhaps the most beautiful area in Cuba, and offers unique limestone scenery and a tobacco-growing heritage. The area is dotted with scenic walks, and a visit to the caves is well worthwhile. 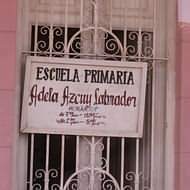 The village of Las Terrezas, located close to the Sierra Del Rosario Ecological Reserve, is a farming community and model community where visitors can get closer to everyday Cuban life. Down on the coast, the Province has some beautiful, unspoilt beaches and good diving and relaxation opportunities - although top quality hotels are not found in this part of Cuba. Accommodation in this mainly rural area isn't as plentiful as in other parts of the country, so it's advisable to pre-book accommodation when visiting the area. Beach resorts such as Cayo Levisa offer basic accommodation that fits in with the rustic feel of the area. Inland, many properties offer traditional Cuban hospitality and tremendous views. Add a few days in Pinar Del Rio to any Cuban holiday, travelling from Havana to the region. A Havana plus Varadero beach holiday becomes truly fascinating when a few nights in Western Cuba is included. Pre-book accommodation to ensure that you have somewhere to stay, but itineraries are flexible and it's easy to explore in this manner. The best way to explore this fascinating region is to hire a car in Havana and to travel under your own steam. It's about a 90 minute drive from Havana to Las Terrezas, or an hour further to the Vinales Valley. Alternatively, transfers do link the Region to Havana, although flexibility becomes a little limited.